22 August 2012, Sadegh Sistani, “US State Department: When Its Enemy Becomes its Savior,” Global Politician. “The result was exactly the opposite. The Iranian mullahs internal repression was extended (as evident from the brutal repression of the student movements), many authors were assassinated during serial killings, substantially more women were stoned to death, Iran’s nuclear program accelerated, and guess who, after the “moderation” era, became Iran’s “president” — yes, Khatami paved the road for Ahmadinejad. The fact is: both Khatami and Ahmadinejad bow to Khamenei. Khamenei rules. There is no room for moderation. UN Secretary General Ban Ki-moon popularized the “responsibility to protect” unarmed civilians subject to harm by well-armed states. The responsibility to protect principle (R2P) holds nations responsible for shielding civilians in their midst from war crimes, ethnic cleansing, and related crimes against humanity. According to the secretary general, the doctrine “requires the international community to step in if this obligation is not met.” Washington is now stepping up to the plate with its offer to protect the Iranian dissidents in Iraq. Yet monitoring by UNAMI has not restrained Iraqi military and police forces. They violated a signed December 2011 memorandum of understanding between the UN and Government of Iraq by mistreating Iranian dissidents during their transfer from Camp Ashraf to Camp Hurriya, formerly Camp Liberty, Iraq. Since the publication of the “responsibility to protect” article, the situations in Ashraf and in Camp Liberty have deteriorated even further. WASHINGTON, Aug. 23, 2012 /PRNewswire-USNewswire/ — On 23 August 2012, the Iran Policy Committee (IPC) examined three sets of events regarding Iranian dissidents in Iraq, who are members of the Mujahedeen-e-Khalq (MEK) and concluded in a press release that certain actions are necessary to avoid a humanitarian catastrophe as well as to correct wrongs. These events include: 1) A 21 July interview with as well as a 22 July article by a high level whistleblower who is a former official of the UN in Iraq and whose job was to monitor the condition of the Iranian dissidents; 2) The whistleblower’s allegations and his comments on remarks made by a State Department spokesperson on 25 July about the status of the dissidents; and 3) A “goodwill gesture” offered on 17 August by the dissidents to send 400 additional residents from Camp Ashraf to Camp Liberty, Iraq. Professor Raymond Tanter, President of the IPC and former senior member of the National Security Council staff in the Reagan-Bush administration, stated that, “Although IPC research shows that linkage of designation of the MEK to non-statutory criteria, such as cooperation in Iraq, is not in accord with the June 2012 Federal Appeals Court ruling ordering the Secretary of State to make a determination on the status of the MEK by 1 October 2012, the Department of State has an opportunity to act now, and do what some 100 bipartisan Members of Congress have asked it to do, i.e., to delist the MEK,” added Tanter. CLICK HERE FOR ORIGINAL PRESS RELEASE ON THE INTERNET. 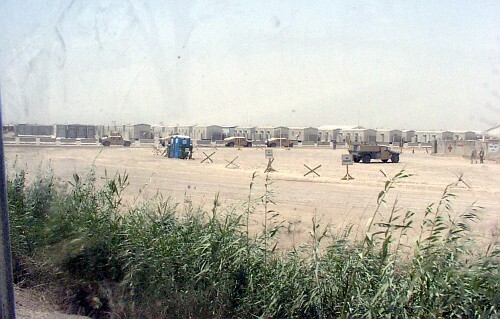 WASHINGTON, February 19, 2012, A humanitarian tragedy unfolds as the Iraqi military and police harass and threaten 397 Iranian dissidents relocated to Camp Hurriya, a former American military base [as shown in image on the left]. They are the first of 3,400 residents of Camp Ashraf. How Iraq, UN, EU, and the United States act is a litmus test for whether the rest of the residents of Camp Ashraf relocate. Professor Tanter added, “But the United Nations Assistance Mission for Iraq (UNAMI) works at cross purposes with UNHCR. While UNHCR stands ready to conduct Refugee Status Determination to resettle the dissidents in other countries, UNAMI colludes with Iraqi authorities, providing a pretext for Baghdad to harm them, contrary to international humanitarian standards. UNHCR emphasizes protecting Iranian dissidents stating, “Any relocation outside Camp New Iraq [Ashraf] [should] proceed on a voluntary basis, with freedom of movement the most desirable state at the site of relocation.” But according to reports, Iranian dissidents are barred from taking their personal belongings, even items like wheelchairs, microwave ovens, and satellite dishes for Internet access. Contrary to UNHCR, the dissidents have no freedom of movement. 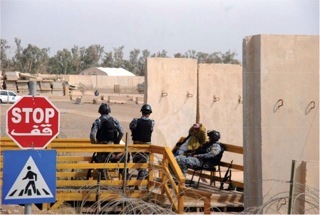 Journalists are kept away, and neither lawyers nor families can observe or visit Camp Hurriya; in disregard of dissidents’ rights, UNAMI paid no attention to Iraqi harassment, intimidation, and insult to them upon arrival to Hurriya. Because of the Clinton statement, the dissidents accepted the relocation plan, which is now being violated by Iraqi authorities. A subsequent announcement by the Department of State “commends the decision by the Ashraf residents to begin to relocate to Hurriya, where the United Nations will begin a process aimed at facilitating their eventual departure from Iraq,” a commendation that enhances U.S. stake in the plan and responsibility to protect the dissidents. By praising the former residents of Ashraf for the first time, the pronouncement also implicitly commends their leadership in Paris for its constructive role in averting human tragedy. Second, the UN might inform dissidents of rights as asylum seekers. The IPC is dismayed to learn that Iranian dissidents in Camp Hurriya have no minimum assurances from either the UN or Washington about their security or rights under international human rights law. Third, the Secretary General needs to bring operational practices of UNAMI in accord with humanitarian standards of asylum seeker status provided by UNHCR. If the Iraqi police were outside Camp Hurriya and UNAMI monitors inside, UNHCR humanitarian standards are more likely to be followed. Without such steps, a calamity is likely, spilled blood of the Iranian asylum seekers will be on the hands of those with responsibility to protect, and appropriate legal action against accountable parties is likely in international and national tribunals.